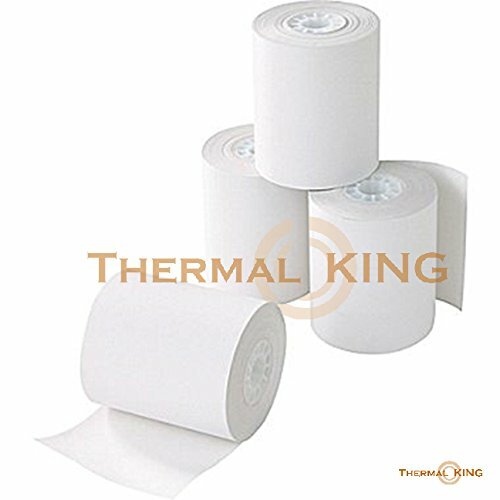 TK230 Thermal Paper fits: Axiohm 7156, 7193, 7196, A715, A716, A756, A758, A760, A793, A794, A795 Citizen CBM1000, CBM230, CBM231, CBM293, IDP3210, IDP3310, LT380 DH Print 1500 EPSON M129B, Epson M129C, Epson TM-H5000, Epson TM-H5000 II, Epson TM-H6000, Epson TM-T80, Epson TM-T85, Epson TM-T88, Epson TM-T88II, Epson TM-T88III, Epson TM-T88IV, Epson TM-T88V, Epson T90 Series, Epson TMU 6000 Fujitsu Team POS DT50 Hypercom T77-T IBM 4610T1 Suremark, IBM 4610T12 Suremark, IBM 4610T13 Suremark, IBM 4610T14 Suremark, IBM Suremark TM6, IBM TM7, IBM TF6, IBM TF7, IBM 4651, IBM 4655, IBM 4659 IPC TM-T80AS Ithaca Per. PcOS 80 Series, Ithaca 80 Plus Series, Ithaca 181 Series, Ithaca Series 280 iTherm MICROS TM-T88, Micros 8700 Thermal NCR 7156, NCR 7158, NCR 7167, NCR 7193, NCR 7194, NCR 7197, NCR 7445-2000, NCR 7450, NCR 7452 Panasonic 5000 Radcliffe Big Chief EFT06 Remanco Geac Color PC Workstation Samsung SRP350 Seiko DPU 5300 Spectra 1000 Star Micronics SCP700, Star TSP100, Star TSP300 Series, Star TSP400 Series, Star TSP500 Series, Star TSP600 Series, Star TSP 700 Series, Star TSP2000 Series Tec RKPTH 5000 Tokheim Spectra Model 1000 Transact Ithaca 80 Series Uniwell UX7500 And many more! Features high brightness, minimal dust and maximum equipment uptime. Highly resistant to heat, light, humidity and damaging substances. 3 1/8" x 230' Thermal Paper (10 pack). BPA free - 48gsm thermal. If you have any questions about this product by Thermal King, contact us by completing and submitting the form below. If you are looking for a specif part number, please include it with your message.